EASA have issued an emergency directive for operators of the Airbus A350-900 long-haul aircraft to upload a software fix to prevent potential overheating of the hydraulic system and a risk of explosion. 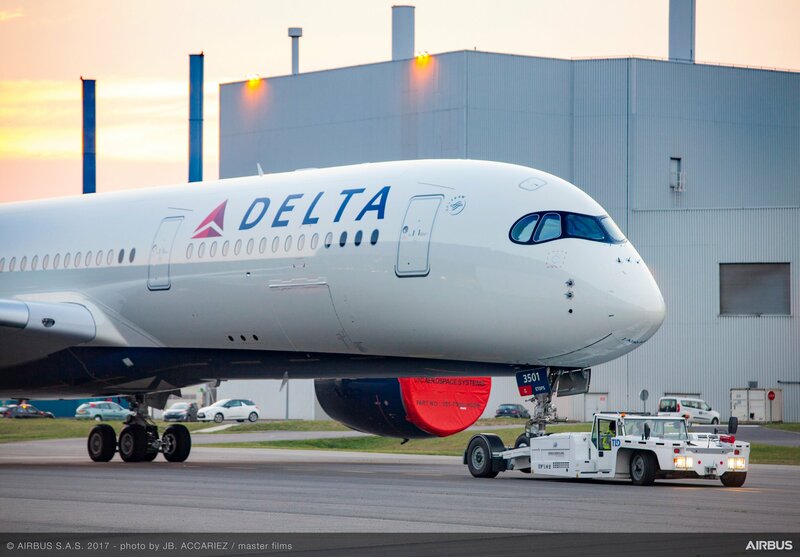 In the A350 design, the hydraulic fluid cooling system is located in the fuel tanks. Recently, an overheat failure mode of the the A350 hydraulic Engine Driven Pump (EDP) has been found. Such EDP failure may cause a fast temperature rise of the hydraulic fluid. This condition, if not detected and corrected, combined with an inoperative Fuel Tank Inerting System (FTIS), could lead to an uncontrolled overheat of the hydraulic fluid, possibly resulting in ignition of the fuel-air mixture in the affected fuel tank. To address this potential unsafe condition, Airbus issued a Major Event Revision of the Master Minimum Equipment List (MMEL) that incorporates restrictions to avoid an uncontrolled overheat of the hydraulic system. Airbus has delivered over 100 of the A350-900 so far, which is flown by airlines including Lufthansa, Singapore Airlines, Cathay Pacific, Delta and Qatar Airways.